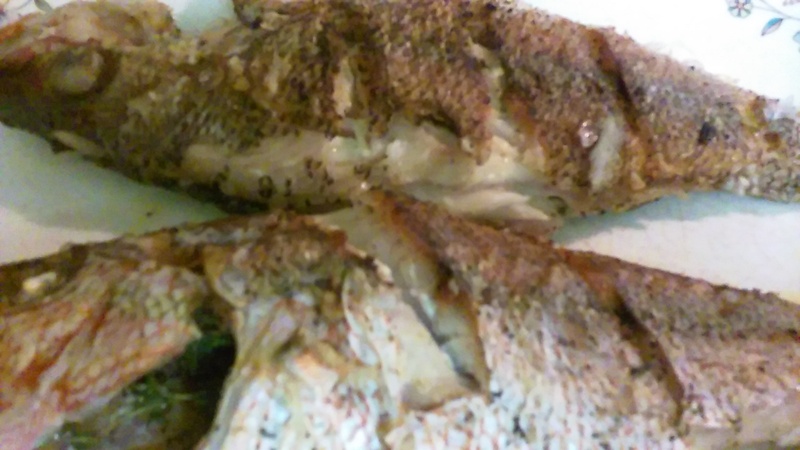 My palate had the craving for a slightly bold yet creamy taste for my resident snapper fish. Decided on coconut milk with a hint of curry powder. So glad that I had freshly squeezed coconut milk in freezer. Defrosted same and allowed it to simmer under low heat until it was thick and cream in consistency. After sauce simmered on low to my preference, seared snapper were added. 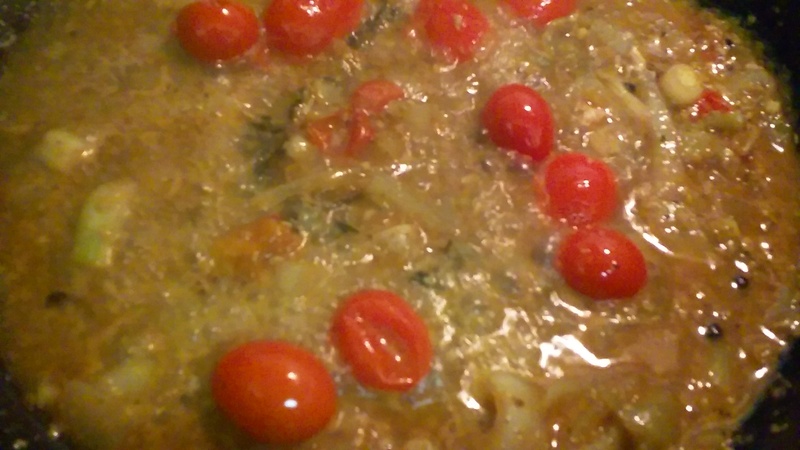 Fish absorbed all the tasty and exotic flavors of curry/coconut milk sauce. 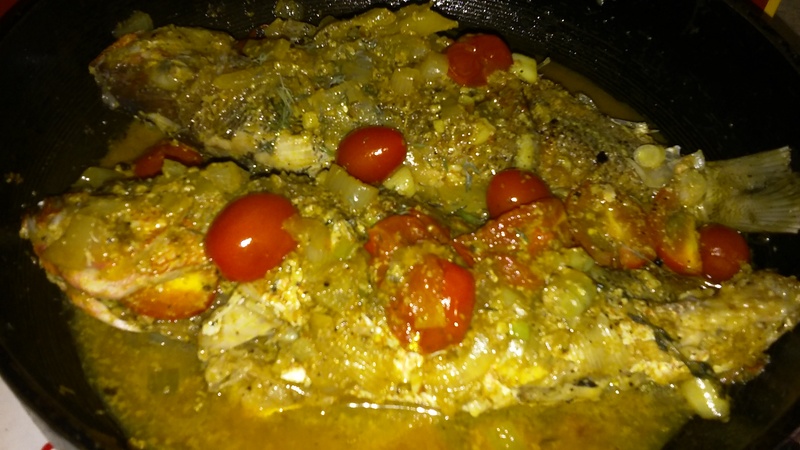 Fish simmered in sauce on low heat for an extra minute on each side.